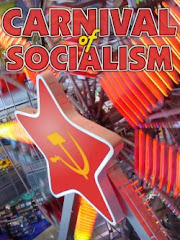 Carnival #19 is now up over at Power to the People. It's a damn good edition which focuses on international themes with plenty of posts from blogs that are completely new to me. Carnival #19 touches on issues in Latin America, Africa, the Middle East and Asia and sweeps across an excellent range of subjects. Just a quick question, but how do you contact some of these blogs hosting the carnival if they show no visible email? It just would be kinda helpful. i think a very important thing is for all of us who support the carnival make a post on our blogs whenever a new carnival is up. I think that's a good idea blackstone - I do this sometimes but far from always and it's never down to the quality of the carnival. We should also thinik of other ways to raise its profile, although really as long as we post about it and keep the quality good it should gather its own momentum. I am typically to blogging and i really respect your content. The article has really peaks my interest. I am going to bookmark your website and maintain checking for brand spanking new information.